Venn Can I Eat? 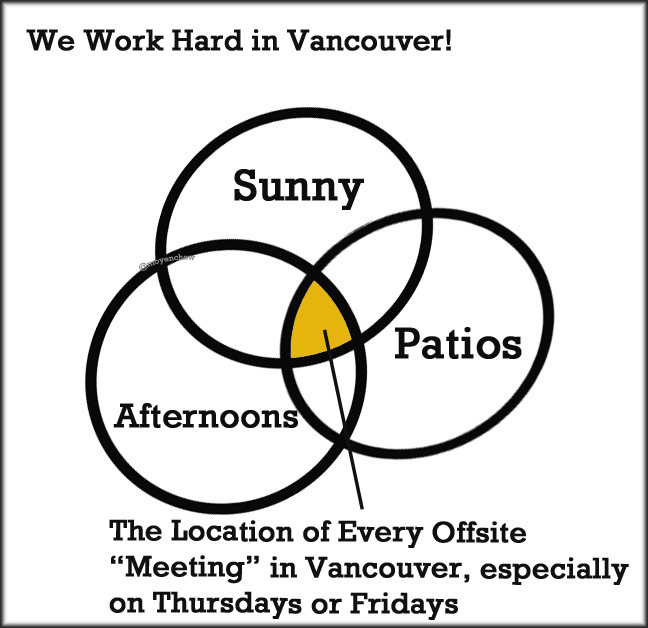 #5 – Off Site "Meetings"
June 7 2016: I’m always surprised how full patios and the sea wall are on sunny afternoons during business hours, especially on Thursdays and Fridays. Sometimes I think Thursday is the new Friday. I guess you got to take full advantage of every ounce of sunshine since it rains some much in Vancouver. Hope everybody’s “meetings” are productive this week!